Join us for a special lunchtime performance by the emerging talents from the Sir Zelman Cowen School of Music at Monash University. 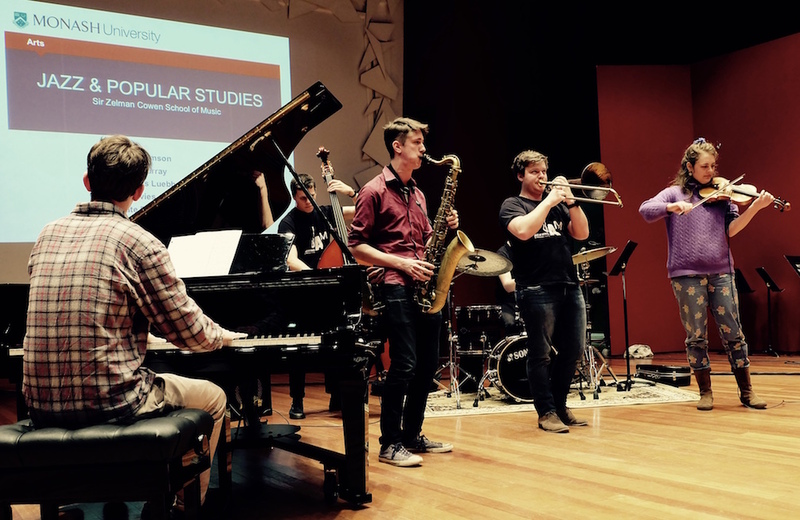 The students are fresh from recent performances with notable jazz artists Guillermo Klein, Ben Monder, Eddie Palmieri, Mike Nock and Kate Ceberano. This MPavilion performance in our leafy garden space will feature original pieces, as well as Australian and American jazz standards—come for the perfect lunch break.